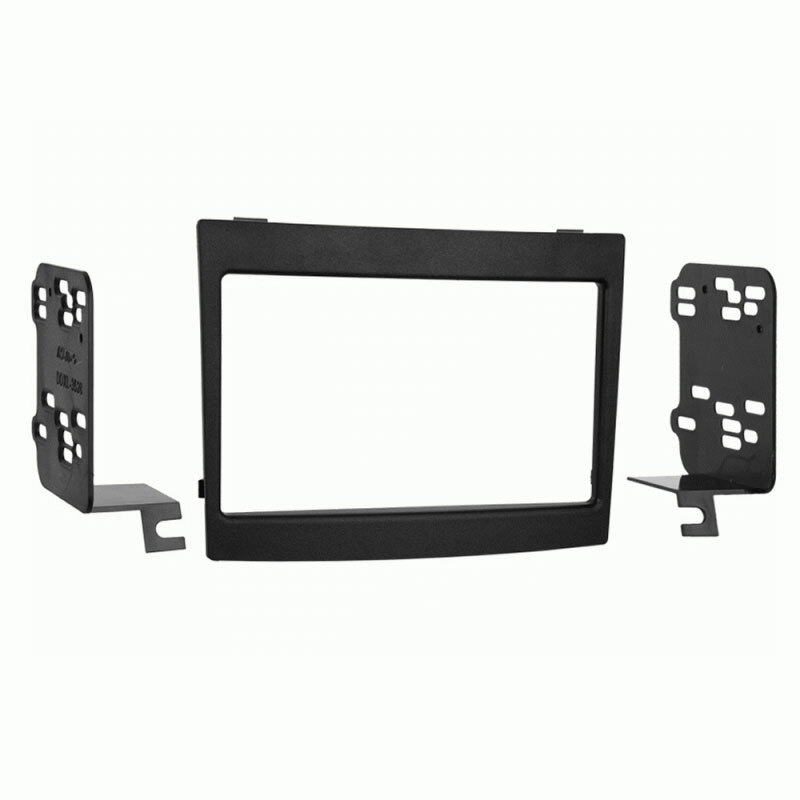 The KTA-450 can mount behind select Alpine 2-DIN mech-less head units, like the iLX-W650, using the included bracket. The KTA-450’s recessed harness receptacle allows the wiring to fold between it and the head unit so both products fit in a standard 2-DIN space. This PowerStack design is a 2019 CES Innovation Awards winner and makes the duo one of the most powerful 2-DIN radios available. 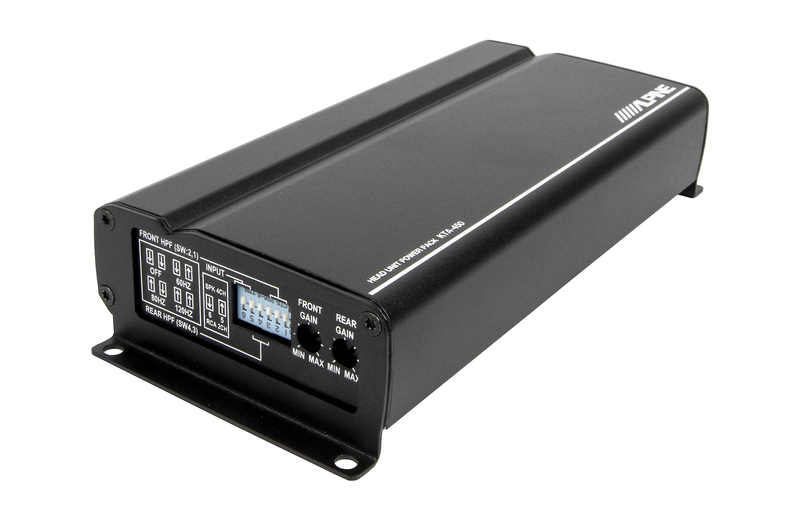 The KTA-450 measures just 7” W x 3.5” H x 1.25” D. For vehicles that do not have the space for a traditional amplifier, the KTA-450’s small size allows it to be tucked away in hidden areas such as in the glove box or behind the radio. It could even be used in a motorcycle’s saddlebag or on a boat. 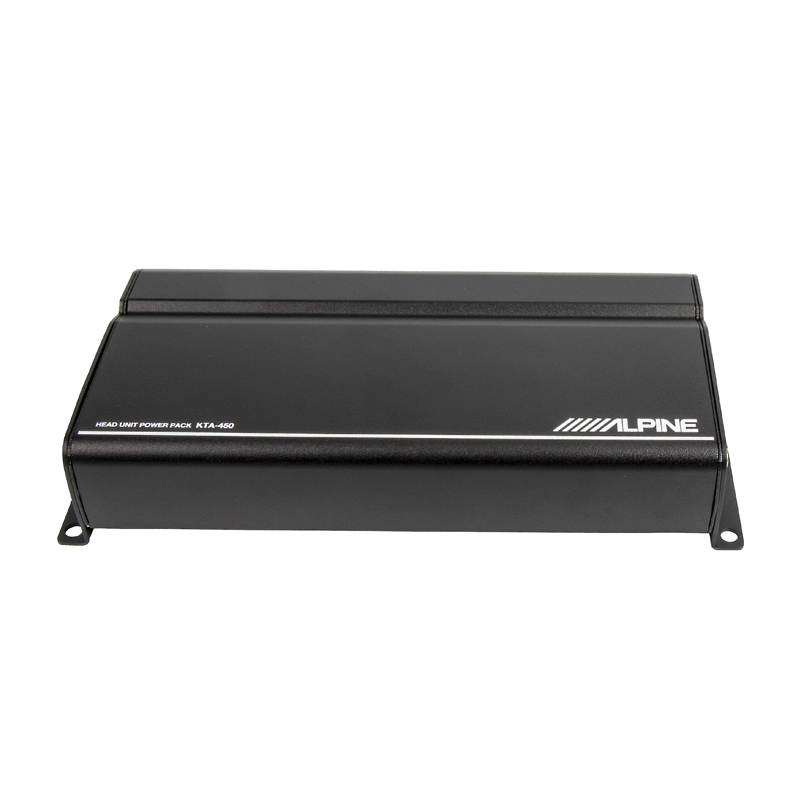 The KTA-450 features Alpine’s exclusive Dynamic Peak Power (DPP). DPP intelligently adjusts the gain to adapt to musical needs. 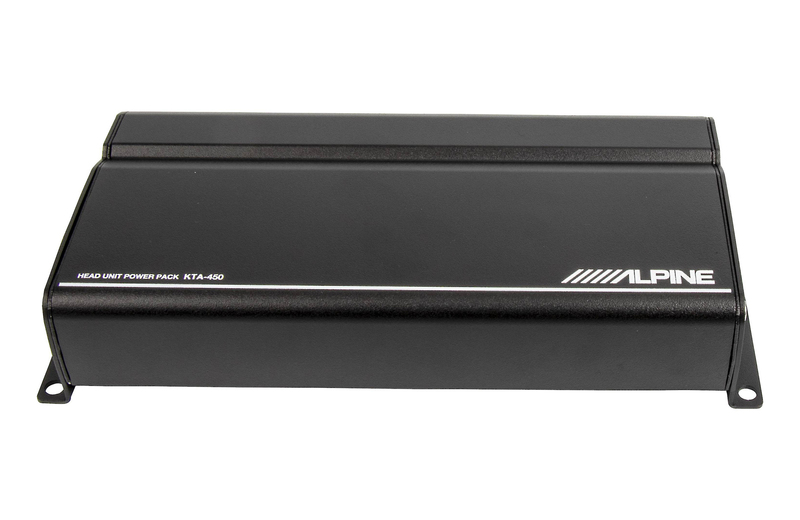 DPP prevents the KTA-450 from clipping by supplying up to double the power for sudden, dynamic sounds. 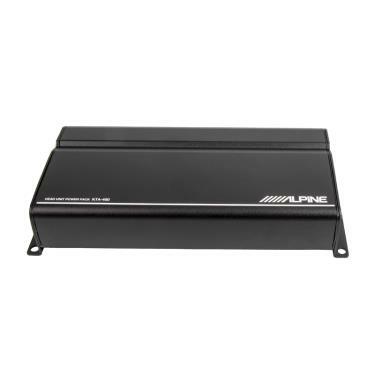 DPP ensures music sounds the way it should at high volumes and boosts the KTA-450 to 400 watts DPP, doubling its power without increasing its size. 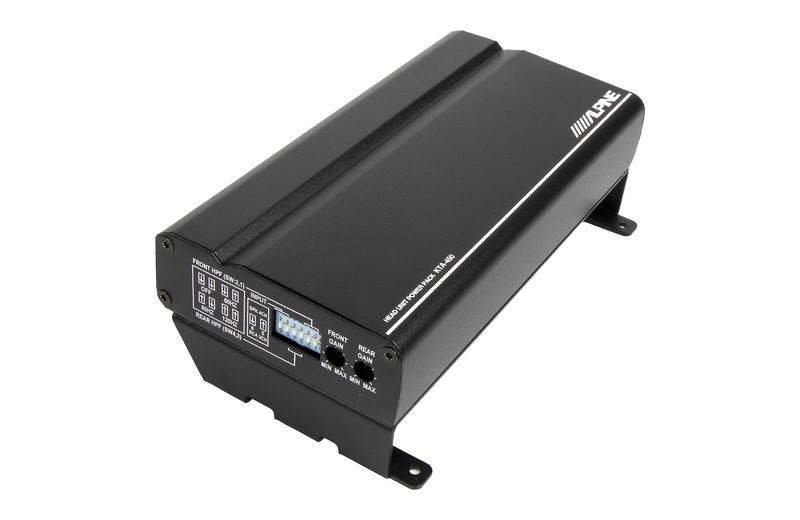 Thanks to the efficient power needs of the DPP technology, the KTA-450 does not require a new power supply wire at the battery, so installation is fast using the supplied radio power wires. 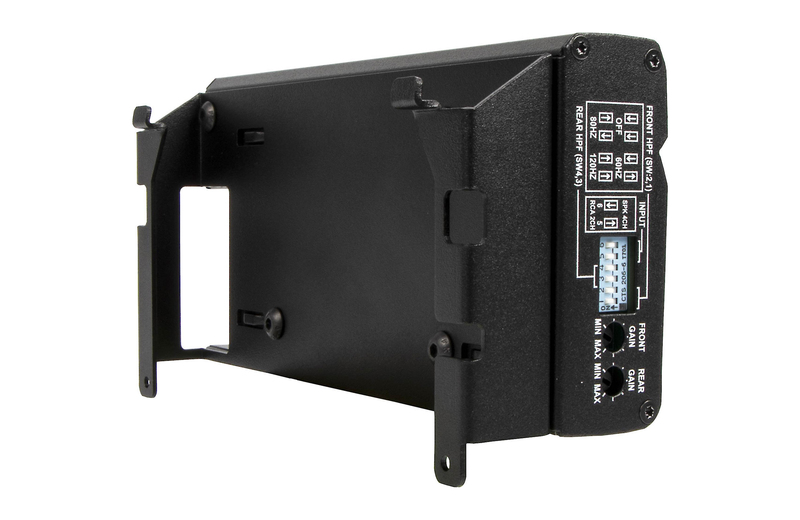 In addition, the KTA-450 uses a 22-pin power harness with a recessed design on one side, so the cables can be tucked-in for a cleaner, less-bulky installation.